Abstract: Publication date: June 2019Source: Journal of Energy Storage, Volume 23Author(s): Manmeet Kaur, Kaushik Pal Hydrogen being clean energy source is an effective substitute to current fossil fuels. Present day advancement in hydrogen economy field has motivated researchers to work in green energy field. Different types of methods are in use to store hydrogen. Our review focuses initially on various types of sustainable and non-renewable energy sources, then with emphasis towards hydrogen economy, we discuss in details about it. Hydrogen is efficient candidate amongst vivid sustainable source of energy. Hydrogen advantages and its applications in different fields are covered. Initially discussing different methods to synthesize hydrogen, we shift towards the hydrogen storage methods. Amongst all the hydrogen storage methods, electrochemical method is best, as hydrogen is generated, stored in situ at normal pressure and temperature conditions. Different methods can be used to study hydrogen storage by electrochemical means. Various materials that can efficiently store hydrogen, were covered. Hydrogen is most common fuel in fuel cell, hence classification of hydrogen fuel cells and their relevance with respect to stationary and portable fields are covered. Abstract: Publication date: June 2019Source: Journal of Energy Storage, Volume 23Author(s): Arianna Baldinelli, Linda Barelli, Gianni Bidini In energy assets governed by decentralized generation from renewables and variable power sources, energy storage (ES) plays a crucial role to address the need for additional capacity and flexibility, as well as to increase arbitrage. Renewables management introduces two main missions for energy storage: a long-term storage to extend storage capacity and a short-term storage to deal with power peaks. Therefore, multi-operation modes are required, shedding light on solutions with both features. Hybrid storage architectures combine the points of strength of single base technologies, while solving some shortcomings. To add extra capacity, hydrogen is a reliable storage medium with very low self-discharge rates and it can be integrated into micro-grids thanks to reversible Solid Oxide Cells (rSOCs), which perform both electrolysis and hydrogen re-electrification in the same device. Yet, for their operating features, rSOCs show a poor load-following capability and require a hybridization with a technology able to provide regulation in short time intervals.Therefore, the present study proposes to hybridize rSOCs with flywheels, to enhance power quality and improve fast-ramping and peak-shaving capabilities. A comprehensive methodology to measure the potentialities and the performances of hybrid storage systems is introduced and applied to the analysis of a case-study. Considering a micro-grid equipped with photovoltaic generators, where back-up supply is still provided by the power grid, the proposed HES system raises renewable self-consumption efficiency up to 58.04%, with an increase of +11.5% (versus +4.7% achieved with non-hybridized ES) with regard to the system without storage. The rSOC + flywheel HES reduces substantially the impact on the power grid, smoothing severe power peaks. The results of the proposed HES architecture are deeply analysed in a case-study, represented by a micro-grid located in a temperate climate zone. This choice is significant to take into account for environmental factors inducing a seasonal performances variability. Abstract: Publication date: June 2019Source: Journal of Energy Storage, Volume 23Author(s): Zeyu Wang, Arkamita Bandyopadhyay, Hemant Kumar, Manni Li, Akshaya Venkatakrishnan, Vivek B Shenoy, Eric Detsi In this work, experimental and computational methods based on density functional theory (DFT) were used to study the spontaneous degradation (i.e. in the absence of any external electromotive force) of pure metallic magnesium (Mg) and magnesium stannide (Mg2Sn) in all-phenyl complex (APC) electrolyte, a commonly used Mg-ion battery electrolyte. Our results reveal that Mg atoms can be stripped from metallic Mg and from Mg2Sn through galvanic replacement reactions involving anions present in APC such as Ph4Alˉ, Ph2AlCl2ˉ, PhAlCl3ˉ and AlCl4ˉ, resulting in Mg dissolution and metallic aluminum deposition. Such a spontaneous degradation phenomenon is susceptible to impact the performance of Mg-ion battery cells in which metallic Mg or magnesium alloys are used as anodes. In particular, we have found that Mg-ion battery half-cells assembled using Mg2Sn and metallic Mg as the working and counter electrodes, respectively, and APC as the electrolyte, exhibit Coulombic efficiencies higher than 100% at low C-rates. Such an unusual Coulombic efficiency is attributed to unbalance charge associated with the difference in Mg atoms dissolution rate between the Mg2Sn working electrode and the Mg metal counter electrode, when these electrodes undergo spontaneous degradation in APC. Abstract: Publication date: June 2019Source: Journal of Energy Storage, Volume 23Author(s): Saurav M.S. Basnet, Haneen Aburub, Ward Jewell Demand response programs are becoming an integral part of the power system, helping create a closer alignment between the electrical service providers and customers. The research described in this paper uses the residential demand response (DR) program during a peak demand event to determine the demand reduction capacity as a virtual storage (VS). As in the marketing business, identifying target customers is vital in the DR program, thus making it more efficient and productive. Additionally, peak load events are very critical in the power system; therefore, it is essential to model an effective demand response program.This paper uses predictive analytics to estimate the level of residential participation in a DR program, and thus the load reduction capacity available, during peak load events. Also derives the mathematical modeling of the demand reduction capacity of a demand response program as a virtual storage system and optimizes it using genetic algorithm technique. Abstract: Publication date: June 2019Source: Journal of Energy Storage, Volume 23Author(s): Shirong Zhang, Yuling Tang In recent years, grid-connected residential PV generation systems have been greatly encouraged in China. In a residential power system containing PV, three types of power sources, namely, PV generation, battery storage and the utility grid, need to be properly scheduled. The time-of-use tariff and step tariff have been widely accepted in China. Correspondingly, this paper proposes two optimal energy management strategies for residential power systems to adapt to the two tariffs towards largest benefits. The strategies are formulated as optimization problems, where minimizing the household energy cost is taken as the objective and the dispatching ratio of electricity sold to the grid and used locally is treated as the optimization variable. A genetic algorithm (GA) is then employed to solve the formulated nonlinear optimization problems. A typical residential power system, containing grid-connected PV panels and a battery storage system, is used for verification study. The results show that the proposed energy management strategies, along with a GA based solving method, are effective in scheduling the operation status of the three power sources optimally to achieve maximum economic benefits under the time-of-use tariff and step tariff, respectively. Abstract: Publication date: June 2019Source: Journal of Energy Storage, Volume 23Author(s): C.D. Botha, M.J. Kamper The increasing penetration of intermittent renewable energy sources has renewed interest in energy storage methods and technologies. This paper describes a gravitational potential energy storage method. A review of current storage methods that make use of the principle of gravitational potential energy is done, with a comparison given in terms of power, energy rating and round trip efficiency. One of these gravitational energy storage methods, involving moving a solid mass vertically up and down, is further analysed in terms of energy storage capacity, energy and power density and the levelised cost of storage. Two different hoisting methods are discussed, the first of which is the traditional drum winder hoist and the second is a proposed, multi-piston hoist based on the use of linear electric machines. The two hoist methods produce storage systems with distinctly different properties and storage applications. Abstract: Publication date: June 2019Source: Journal of Energy Storage, Volume 23Author(s): Mostafa Sedighizadeh, Masoud Esmaili, S. Mohammadreza Mousavi-Taghiabadi Frequency dynamics management along with energy and reserve scheduling is a challenging issue in Unit Commitment (UC) of modern power systems due to the replacement of synchronous generators with renewable systems and consequently, the decay in system inertia. This study proposes a new Interval Unit Commitment (IUC) model for optimal energy and reserve scheduling in which frequency dynamics of the power system are taken into account. The Wind Turbines (WTs) and Compressed Air Energy Storage (CAES) are considered for this modeling. The aim of paper is to retain the frequency dynamic security by considering Demand Response (DR) program and injections of fast response CAESs following a generation loss. Also, the uncertainty of wind generation is taken into account using a probabilistic model. The Frequency Dynamics-constrained Unit Commitment (FDUC) considering CAESs as named FDUCC is formulated as a Mixed-Integer Nonlinear Programming (MINLP) problem considering uncertainties of DR and WT. The proposed method is examined on a 6-bus test system and simulation results are derived in four different case studies. The obtained results indicate that the proposed model can guarantee frequency security while it reduces operation costs. Abstract: Publication date: June 2019Source: Journal of Energy Storage, Volume 23Author(s): R. Drummond, S.R. Duncan An observer is designed for the Doyle-Fuller-Newman electrochemical model of a Li-ion battery under the assumption of constant ion exchange current density and MacInnes’ equation being concentration independent. For this nonlinear system, the observer is shown to experience both exponential convergence and a degree of robustness. This result extends the class of electrochemical model for battery observer design, generating improved estimates for the state-of-charge and for the spatial variation of the overpotential across an electrode. 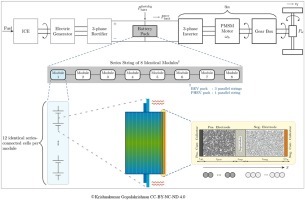 Abstract: Publication date: June 2019Source: Journal of Energy Storage, Volume 23Author(s): Idris Al Siyabi, Sourav Khanna, Tapas Mallick, Senthilarasu Sundaram The main purpose of the present study is to investigate the melting characteristics of a PCM cylindrical thermal storage system using experimental and numerical approaches. Three inclination positions are considered from vertical to horizontal. Paraffin wax has been used as the phase change material with a melting temperature ranged between 35 and 37 ºC. The melting behaviour of the PCM inside the storage is characterised using different parameters of temperature distribution, imaging of PCM melting profiles, rate of stored heat, and liquid PCM flow within the storage. The results show that the PCM storage inclination angle has a significant effect on the PCM temperature distribution, PCM melting time and profile. It is noted that PCM in the storage in the 45° inclination angle from the horizontal location has the fastest melting rate is the fastest in melting compared to the 0° and 90° inclination angles. The simulation models enable understanding the internal flow of liquid PCM where it has been found that the direction of buoyant force resulting from the melted liquid PCM has a major role in both melting rate and melting direction within the PCM storage. In addition, it has been observed that the charging rate has no effect on the PCM melting profile. Abstract: Publication date: June 2019Source: Journal of Energy Storage, Volume 23Author(s): Ravendra Gundlapalli, Sreenivas Jayanti For high current density operation of redox flow batteries, proper circulation of the electrolytes over the active area of the cell is important. In the present paper, we study experimentally the effect of channel dimensions of a serpentine flow field for vanadium redox flow battery applications. The study encompasses three aspects: effect on the extent of felt intrusion into the flow channels, effect on the pressure drop over a cell for a given electrolyte circulation rate, and effect on the electrochemical performance characterized by a number of parameters. Eight variants of channel and/or rib dimensions in serpentine flow fields have been studied in cells of 400 cm2 and 900 cm2 active area. 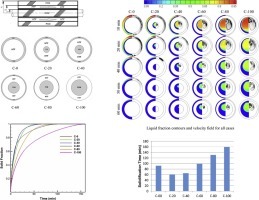 A lumped parameter model, validated with water and electrolyte circulation data, has been developed to predict the pressure loss and flow apportionment in the cell. The results show that sensitivity to channel dimensions is more keenly felt in the larger cell with noticeable improvements in pressure drop, peak power density and discharge energy density. Increasing channel width and decreasing rib width is recommended as the ideal strategy to improve the overall performance of the cell. Abstract: Publication date: June 2019Source: Journal of Energy Storage, Volume 23Author(s): M. Blecua, A.F. Romero, P. Ocon, E. Fatas, J. Valenciano, F. Trinidad Lead Acid Batteries (LABs) in the Micro Hybrid vehicle have to work in Partial State of Charge (PSoC) conditions, where the negative plates may develop high sulfation leading to the battery death. In order to reduce this sulfation, Graphitized Carbon Nanofibers (GANFg) at 0.10% and two types of Organic Expanders (OEs) were used as additives for the negative plates. These fibers were previously dispersed with a certain amount of OEs. Five mixtures were selected, and the corresponding negative plates were prepared. 2 V / 1 Ah cells were assembled and tested, together with the physicochemical properties of the plates. During the formation of the cells, GANFg are thought to be integrated into the NAM skeleton where would improve the NAM energetic structure. As a result, the use of GANFg slightly enhanced the capacity and the cold cranking ability, although this last one was essentially dominated by the OEs concentration. A lower OEs concentration led to higher charge acceptance, and the use of GANFg involved a higher water loss. However, the water loss rate was considered low in comparison with other carbon materials. GANFg addition increased the cycle life of the cells during the 17.5% DoD cycling test (at PSoC). Abstract: Publication date: June 2019Source: Journal of Energy Storage, Volume 23Author(s): G. Raam Dheep, A. Sreekumar The increasing interest in solar thermal energy storage necessitates the identification of new latent heat based phase change materials (PCMs). Testing the reliability and corrosion of newly identified PCMs upon repeated thermal charging and discharging cycles helps to evaluate the long term feasibility of latent heat storage system. Phenyl acetic acid (PAA) is an organic PCM with phase transition temperature of 75–80 °C and latent heat of 152 J/g. In this present work the thermal reliability on thermo-physical properties and corrosive nature of phenyl acetic acid is studied for 2000 accelerated thermal cycles. The experimental result shows that phase transition temperature and latent heat of fusion of PCM varies only ±1–3% and also has less corrosive nature to aluminium and stainless steel than copper metal containers throughout the thermal cycles. This study also comprises of experimental investigation on thermal performance of solar air heater (SAH) with built-in latent heat thermal energy storage. The solar air heater with PCM has outlet air temperature higher than ambient by 2–13 °C for 2.5 h and 1–8 °C for 2 h after solar hours at the mass flow rate of 30 and 45 kg/hr.m2 respectively. Therefore the newly identified phenyl acetic acid is a promising PCM for solar space heating applications due to good heat storage properties, long term thermal reliability and less corrosive nature. Abstract: Publication date: June 2019Source: Journal of Energy Storage, Volume 23Author(s): Amanda Pertzborn The Intelligent Building Agents Laboratory (IBAL) at the National Institute of Standards and Technology (NIST) will be used to develop and evaluate advanced control systems for commercial building heating, ventilation, and air conditioning (HVAC) applications. Advanced control techniques include model predictive control (MPC) and distributed optimization, both of which can utilize machine learning.This study is a first step in the development of more advanced techniques. MPC is used to generate an optimal schedule for the operation of a cooling plant consisting of ice-on-coil thermal energy storage and two chillers with different maximum capacities. The schedule is generated offline and then used in the IBAL. The performance of the actual system is used to validate the simulation. The simulation is then used to conduct studies relating to the effect of the time horizon and electrical tariff on the optimal schedule. The results demonstrate that an agent-based control architecture is effective in defining optimal control of thermal energy storage systems. Abstract: Publication date: June 2019Source: Journal of Energy Storage, Volume 23Author(s): Tamar Nahhas, Xavier Py, Najim Sadiki, Sophie Gregoire At present there is an intense research for developing alternative sensible heat storage materials, such as natural rocks and recycled ceramics, able to work in concentrated solar power plants at high temperatures. This work demonstrates the potential of flint rocks as an economic and efficient filler material to be used with air as heat transfer fluid in packed bed storage system. Four facies of flint rocks were collected from south of France. To predict the performance of the storage system, crystalline structure, thermo-physical and thermo-mechanical properties of the studied rocks have been identified. For this purpose, the candidate rocks were subjected to extensive experimental characterizations under a series of thermal cycles. XRD, SEM, DSC/TGA, pycnometer, LFA, dilatometer, high temperature ultrasonic testing and nano-indenter method have been used to analyze these samples. Consequently, the 400 °C was identified as ideal temperature for the heat treatment process of flint. The obtained results from the four analyzed samples have been compared together and with currently used storage materials. The results gathered from this paper prove the potential of flint in terms of high density, good specific heat capacity and good thermal stability up to 400 °C to be used as filler material in energy storage applications relevant for low and medium temperature solar power plants. Abstract: Publication date: June 2019Source: Journal of Energy Storage, Volume 23Author(s): A. Elouali, T. Kousksou, T. El Rhafiki, S. Hamdaoui, M. Mahdaoui, A. Allouhi, Y. Zeraouli In this article, we discuss different physical models to evaluate the thermal performance of packed bed for sensible heat storage with air as the heat transfer fluid (HTF). The mathematical equations are numerically solved by applying the finite volume method, and the derived results are corroborated by the existing experiments in the literature. Numerical simulations are performed with different solid storage materials and for various mass ﬂow rates of HTF, porosity and solid material size. Detailed characteristics of the packed bed are discussed and various numerical results are presented. The applicability of pressure drop and the thermal optimization of the packed bed are also discussed. Abstract: Publication date: June 2019Source: Journal of Energy Storage, Volume 23Author(s): Behrang Talebi, Fariborz Haghighat, Paul Tuohy, Parham A. Mirzaei Evidence from a various research suggests that buildings hold a vital role in climate change by significantly contributing to the global energy consumption and the emission of greenhouse gases. Considering the trend of higher energy consumption in the building sector, it is important to influence this sector by decreasing its energy demand. District generation and cogeneration systems integrated with the energy storage system have been suggested as a potential solution to achieve such planned goals.Unlike the older generation of the DHS, where the focus of the design was on minimizing the system heat loss, in 4th generation DHS, achieving higher system efficiency is made possible by picking the optimal equipment size as well as adopting the appropriate control strategy.Designers have adopted different design methods for selecting the equipment size, however, finding the optimal size is a challenging task. This paper reports the development of a simplified methodology (dynamic optimization) for a hybrid community-district heating system (H-CDHS) integrated with a thermal energy storage system by coupling the simulation and optimization tools together. Two, existing and newly built communities, have been considered and the results of the optimization on the equipment size of both communities have been studied. The results for the newly built community is later compared with the one obtained from the conventional equipment size methods whereas static optimization methods and potential size reduction with the conventional method has been obtained. Abstract: Publication date: June 2019Source: Journal of Energy Storage, Volume 23Author(s): Morteza Zolfaghari, Navid Ghaffarzadeh, Ali Jahanbani Ardakani Battery as an energy storage system is a key element in Microgrids (MGs). Therefore, determining the optimal size of battery energy storage systems (BESS) can reduce the operational costs of MGs. The goal of this paper is to calculate the optimal size of a BESS in an off-grid MG while minimizing the total cost using convex optimization methods. This paper proposes a new two-step cost-based method to determine the optimal size of a BESS in an MG. In the first step, in order to optimize the operation of the MG, a unit commitment (UC) problem is solved. In the next step, the optimal size of the BESS is determined using convex optimization considering several physical and operational constraints. The resulting problem is a non-convex non-linear problem. However, the problem can be transformed into a convex problem using convex relaxation methods. In the next step, the convexity and feasibility of the optimization problem is proved. The CVX toolbox package integrated with MATLAB is used to solve the problem. To assess the effects of BESS on operational and total costs of the MG, four scenarios are studied. Additionally, the results have been compared with PSO and GA algorithms and effectiveness of the proposed method has been shown. Abstract: Publication date: June 2019Source: Journal of Energy Storage, Volume 23Author(s): Alexander Fill, Sascha Koch, Kai Peter Birke The parallel-connection of lithium-ion cells and strings is of increasing research interest, mainly due to the energy and power demands of large-scale applications, e.g. electric vehicles (EV). For battery systems an accurate estimation of the current distribution within these parallel configurations is crucial for optimal operation and system design. The present paper provides an analytical model for the current distribution of cells and strings connected in parallel. Eight characteristic values are determined, fully describing these systems. These characteristic values are used to investigate the impacts of cell resistance and capacity distributions on maximum currents, open circuit voltage (OCV) and state of charge (SoC) differences within the parallel-connected cells and strings. It is found, that maximum cell currents and SoC differences within parallel-connected cells increase almost logarithmically with the number of parallel- and serial-connected cells. A linear correlation of these values to the related standard deviation of cell's resistance and capacity is shown by Monte Carlo simulations. Maximum string currents decrease by square root with the number of parallel- and serial-connected cells, due to statistical averaging, which cause a square root correlation of the related standard deviation to the number of parallel- and serial-connected cells. Abstract: Publication date: June 2019Source: Journal of Energy Storage, Volume 23Author(s): L. Oca, N. Guillet, R. Tessard, U. Iraola Safety issues related to lithium-ion batteries are a driving force in the search for new energy storage systems. Lithium-ion capacitors are becoming recognised as promising devices to address the question of safety. These products are a combination of lithium-ion batteries and electric double-layer capacitors in terms of energy and power density. The aim of this work is to assess lithium-ion capacitor safety under over-charge and under-discharge processes for pouch and prismatic cells. In the course of performing abuse tests, no evidence was found of severe hazard (explosion, fire or flame, rupture or major leakage). Quantitative external parameters (thickness, resistance and mass) and electro-thermal measurements showed an increase of swelling and internal resistance, which caused a decrease of capacity and energy efficiency in all cases. The ultrasound characterization technique confirmed that there were irreversible physical modifications of the materials under abuse conditions on prismatic cells, which could not be seen with the commonly used magnitudes (U, I, T). This technique was also used for the identification of the start of cell degradation. In post-mortem analysis, were observed different degradation phenomena such as melting of the separator and delamination in the electrodes. Abstract: Publication date: June 2019Source: Journal of Energy Storage, Volume 23Author(s): Matthieu Dubarry, Carlos Pastor-Fernández, George Baure, Tung Fai Yu, W. Dhammika Widanage, James Marco Cell-to-cell variations can drastically affect the performance and the reliability of battery packs. This study provides a model-based systematic analysis of the impact of intrinsic cell-to-cell variations induced by differences in initial state of charge, state of health, capacity ration, resistance and rate capability. The impact of these cell-to-cell variations was evaluated on the performance of battery packs of different topologies, from series to parallel, and chemistries. For each chemistry and topology, simulations were performed with different levels for each type of intrinsic variation as well as all variations together in order to investigate the combined effects. The most salient changes were observed for cells connected in series. The calculated incremental capacity response for the pack and the single cells was used to select different features of interest that changed depending on the type of variation. From this methodology, the automatic quantification of the variations was attempted at the pack and single cell level. Cell-to-cell variations make each battery pack unique; their quantitation is essential for accurate monitoring. Abstract: Publication date: June 2019Source: Journal of Energy Storage, Volume 23Author(s): Ujjwal Datta, Akhtar Kalam, Juan Shi Renewable energy sources (RES) based distributed generation (DG) system results reduction of overall system inertia, which is likely to generate higher oscillations in the system during disturbance conditions. Therefore, DG penetration level has a significant impact on system stability and reliability. This study provides an in-depth analysis of battery energy storage system (BESS) impact in providing primary frequency control to support increased wind penetration level. The BESS is modeled as a storage system with DC/AC converter and other associated power electronics interfaces. The objective is to replace the existing synchronous generator in proportion with the increasing penetration level of wind units while maintaining power system stability and reliability. The BESS model is developed in DigSILENT/PowerFactory and the system performances are simulated and compared with and without the BESS considering different disturbances such as single-phase-to-ground fault, and temporary line outage and load demand increment with various DG penetration level. It is shown through simulation results that BESS exhibits the ability to reduce system oscillations following disturbances and supports the increment of DG penetration level in the existing power system. Therefore, BESS can be seen the most viable measure of stability enhancement with renewable oriented sustainable future electric grid. Abstract: Publication date: June 2019Source: Journal of Energy Storage, Volume 23Author(s): Tomás M. Clancy, James F. Rohan Finite element simulations are presented, showing material utilisation and electrochemical cell behaviour of a rechargeable Li-ion microbattery in planar thin-film, 3D and 3D core core-shell nanoarchitectures in which the active material is 250 nm thick as a shell on a 250 nm diameter core support. The materials simulated are non-porous additive-free LiCoO2, lithium metal and solid-state, polymer, polymer-gel and liquid electrolytes. The concentration profile of the LiCoO2 during discharge and areal energy versus areal power in a Ragone plot for each of the different architectures are compared. It is shown that the planar thin-film architecture gave better cell performance when used with the solid-state electrolyte with all three architectures showing material utilisation of the cathode at the closest point to the anode. The 3D and 3D core-shell nanoarchitectures show better battery performance for the polymer electrolyte then the planar thin film, with the 3D nanoarchitecture being the best. The 3D core-shell architecture shows a significant improvement in performance by comparison with the thin-film and 3D nanoarchitectures when a polymer-gel or a liquid electrolyte are used. The 3D nanoarchitecture shows a slight decline in performance when going from a polymer-gel electrolyte to a liquid electrolyte with faster Li-ion transport. The 3D core-shell nanoarchitecture shows improved cell performance with faster Li-ion transport. The adoption of 3D nanoarchitectures with suitable electrolytes can have a significant improvement in battery areal energy and power performance. Abstract: Publication date: June 2019Source: Journal of Energy Storage, Volume 23Author(s): Mahyar Silakhori, Mehdi Jafarian, Maziar Arjomandi, Graham J. Nathan The reversible reduction and oxidation (RedOx) reactions of CuO/Cu2O, Co3O4/CoO, Mn2O3/Mn3O4, and Pb3O4/PbO have been assessed experimentally with thermogravimetric Analysis (TGA). The temperature was maintained constant during charging and discharging of the thermochemical energy storage via pressure swing for a range of oxygen partial pressures spanning from 0.05 to 0.8 bar. The rate of oxidation reactions were assessed for a range of partial pressures, while changes to the structure of the materials was assessed with X-Ray diffraction spectra (XRD) before and after 10 successive reduction and oxidation cycles. The results show that the Co3O4/CoO, Mn2O3/Mn3O4, and CuO/Cu2O pairs have a potential for chemical storage at temperatures ranges from 900 °C to 1000 °C, while no thermochemical reaction was observed for Pb3O4 up to a temperature of 550 °C. 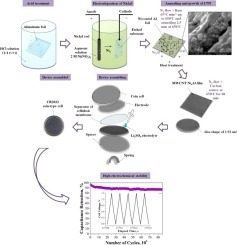 Abstract: Publication date: April 2019Source: Journal of Energy Storage, Volume 22Author(s): Ondrej Cech, Ondrej Klvac, Petra Benesova, Josef Maca, Pavel Cudek, Petr Vanýsek We present a LiFePO4/graphene composite prepared via a solid-state synthesis where electrochemically fabricated few-layer graphene was used as one of the precursors. Thin few-layer graphene flakes decorated with LiFePO4 submicron-sized particles were obtained, and the corresponding characterization was performed using electrochemical methods, XRD, and SEM. The electrochemical performance of the electrode material enhanced with the few-layer graphene as additive was compared to a reference sample with conventional Super P carbon used. 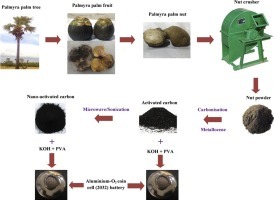 Abstract: Publication date: April 2019Source: Journal of Energy Storage, Volume 22Author(s): Santosh Chavan, Veershetty Gumtapure, D. Arumuga Perumal The present work deals with the composite phase change material (CPCM) of 98% paraffin wax and 2% copper nanoparticle, filled into the bounded domain. Effects of orientation (45°, 90°, 135° and 180°) with different wall heating conditions (base, left and top wall) are analyzed numerically to understand the flow patterns and interface morphology developed during melting/solidification processes. The melting/solidification mechanism exhibited non-uniform flow patterns and irregular morphology which are dependent on geometrical orientations and different wall heating conditions. The results revealed that the bounded domain with different orientations have significant effect on natural convection current formation. As the orientation changes, the heat transfer rate gets influenced significantly and convection currents amplifies. Top wall heating arrangement of 180° orientation shows competence in achieving better thermal performance. Abstract: Publication date: April 2019Source: Journal of Energy Storage, Volume 22Author(s): I. Aldama, K.I. Siwek, J.M. Amarilla, J.M. Rojo, S. Eugénio, T.M. Silva, M.F. Montemor Tailored 3D Ni foams with smaller macropores and larger surface areas than commercial Ni foams are prepared by electrodeposition under the dynamic hydrogen bubble template on stainless steel substrates. These Ni foams are functionalized with electrodeposited manganese oxide (MnOx), resulting in MnOx/Ni foam composites. The electrochemical performance of the composites is studied in aqueous Na2SO4 and KOH electrolyte. Moreover, asymmetric cells, combining the MnOx/Ni foam composites as positive electrodes and carbon cloths as negative electrodes, are tested in the presence of the two electrolytes. Despite the significant number of papers dealing with asymmetric supercapacitors, there is still the need of understanding the electrolyte role for optimizing their electrochemical response. The cell potential window is broader in neutral electrolyte, 1.6 V, compared to the alkaline one, 1.2 V, but the cell capacitance is lower in the neutral electrolyte, 37 F g−1, than in the alkaline one, 49 F g−1. The energy density is similar for the two electrolytes, ca. 10 Wh kg−1. The power density reaches 1-3∙104 W kg−1, which is among the highest values reported for asymmetric cells in aqueous electrolytes. The stability of the cells on cycling, floating and self-discharge are compared for the two electrolytes.Graphical abstractScheme of the asymmetric supercapacitor cell and variation of the power density vs. the energy density for two aqueous electrolytes, 1 M Na2SO4 and 1 M KOH. Abstract: Publication date: April 2019Source: Journal of Energy Storage, Volume 22Author(s): Björn Rumberg, Kai Schwarzkopf, Bernd Epding, Ina Stradtmann, Arno Kwade While the usable capacity is limited by the internal resistance, the available amount of mobile Li at open circuited voltage (OCV) conditions is not influenced by any change in internal resistance over aging. The difference in the aging trends of usable capacity and available amount of mobile Li at OCV conditions is analyzed.A method is suggested and validated in order to determine the available amount of mobile Li using a standard characterization procedure without constant voltage (CV) step at discharge. By applying the method to calendrical aged cell tests, aging trends for mobile Li and usable capacity are analyzed.Additionally, a model concept is presented, which explains the decrease of internal resistance at the end of discharge and therefore, the different aging trends. Considering lithiation depended over-potentials for anode and cathode and change in electrode balancing due to loss of mobile Li, it can be shown that the internal resistance at end of a constant-current (CC) discharge is decreasing with loss of mobile Li. The model concept is parametrized with half-cell measurements and validated with the previously analyzed calendric aging tests. Abstract: Publication date: April 2019Source: Journal of Energy Storage, Volume 22Author(s): Nandy Putra, Imansyah Ibnu Hakim, Fadel Prawira Erwin, Nasruddin A. Abdullah, Bambang Ariantara, Muhammad Amin, Teuku Meurah Indra Mahlia, Eny Kusrini A recently developed method for the thermal stability measurement of phase-change materials (PCMs) involves thermal cycling using a thermoelectric module as a heating and cooling element. However, the utility of this approach was found to have some limitations, mainly because the thermoelectric polarity is changed according to time rather than the actual sample temperature. A method for thermal cycling test, where the thermoelectric polarity is automatically changed according to the sample temperature was developed in this study. In addition, a new cartridge design in this device requires a small sample volume (1.53 cm3) and can be easily assembled and disassembled. This proposed device was tested on beeswax as a PCM sample. This is very important for savings PCMs material which usually expensive. The results showed that the apparatus had automatically cycled between the melting and cooling temperatures of beeswax. The thermal data showed that beeswax retains consistent melting and freezing temperatures after 1000 cycles, however, its heat of fusion degrades over repeated thermal cycling. This apparatus can be readily applied to study a wide range of PCMs for such as thermal energy storage materials for energy conservation. To our best knowledge, yet no study has been performed on this kind of equipment so far. Abstract: Publication date: April 2019Source: Journal of Energy Storage, Volume 22Author(s): Abbas Ali Salimi, Ali Karimi, Yousef Noorizadeh The operation of pumped storage hydropower plants (PSHPs) in the security-constrained unit commitment (SCUC) problem with the consideration of high wind energy penetration has become a practical issue for power systems. In this paper, first, a comparison is made between the operation of fixed-speed and adjustable speed PSHPs in the proposed linearized SCUC model based on the calculation of added values in the market. Then, for the participation of wind power plants (WPPs) and considering their uncertain production, a scenario-based method using real data and the Weibull distribution function is proposed. Also, considering WPPs may have a surplus energy in comparison to the network load in the condition of high wind energy penetration, which will be lost without use, in the modeling of WPPs, a mathematical variable as the curtailed wind energy is considered. With the simultaneous security-based coordination of adjustable speed PSHP units and WPPs in the unit commitment problem, the use of WPPs has become more effective. Also, the WPPs can participate in the market with higher capacity than the separate operation. The various numerical studies with increasing WPPs penetration factor are presented to demonstrate the effectiveness of the adjustable speed PSHP units for the IEEE 24-bus test system. Abstract: Publication date: April 2019Source: Journal of Energy Storage, Volume 22Author(s): Martin Rogall, Tazdin Amietszajew, Rohit Bhagat, Maria Brucoli, David Greenwood This work investigates the capacitive capabilities of Li-ion pouch and cylindrical cells in respect to the provision of Frequency Response services and a potential for reduction in battery ageing effects. This is achieved using Electrochemical Impedance Spectroscopy (EIS) and a novel method of identifying and defining the threshold frequency between pseudo-capacitive and diffusion processes of the cell. It is found that this threshold frequency is independent of current intensity up to 1 C, showing that even at high power, pseudo-capacitance has significant impact. However, a severe dependency upon relative cell surface area and State of Charge (SoC) is identified. Symmetrical charge-discharge pulses of up to 10 s utilise primarily cell capacitance. Literature indicates, that this level of utilisation reduces the electrochemical ageing impact significantly. This article displays a method to identify and isolate these processes for any given cell and to allow enhancement of conventional ageing modelling. Abstract: Publication date: April 2019Source: Journal of Energy Storage, Volume 22Author(s): Alexandr Shkatulov, Hiroki Takasu, Yukitaka Kato, Yuri Aristov Thermochemical energy storage (TCES) is an emerging technology promising for reuse of industrial waste heat and harvesting solar energy. Recently, a novel material, namely, a magnesium hydroxide doped with lithium nitrate LiNO3/Mg(OH)2, was suggested for TCES at temperature lower than 300 °C . The LiNO3 additive to Mg(OH)2 was found to decrease the Mg(OH)2 dehydration temperature by 76 °C which, to the best of our knowledge, is the largest depression reported in the literature so far. The large heat storage capacity (1250 J/g) and fast dehydration made this material promising for TCES.In this work, the LiNO3/Mg(OH)2 is studied with a focus on the reverse reaction of its hydration by water vapour which allows the stored heat to be released. The rehydration kinetics is studied at various temperatures (90–150 °C), water vapour pressures (16.7–33.5 kPa), and LiNO3 contents (0.5–20 wt.%) to outline the boundary conditions of closed TCES cycle for which this material may be used. The material is found to be stable in ten successive de-/rehydration cycles. Finally, the applicability of the material for storage of heat from some particular heat sources is discussed. Abstract: Publication date: April 2019Source: Journal of Energy Storage, Volume 22Author(s): Boucar Diouf, Christophe Avis Lead-acid batteries commonly installed in solar home systems have a short lifespan. In rural areas of developing countries, this may leave systems non-functional because of the lack of service or financial limitations to acquire a new battery. Lithium-ion (Li-ion) batteries present revolutionary attributes, as longer lifespan, higher energy and power densities, as well as better tolerance to external parameters. In this paper we present the potential of Li-ion batteries to be an ideal substitution of lead-acid batteries in off-grid rural solar home systems. We defend that the mass production of Li-ion cells, to respond to industrial demand, particularly from the electric automobile industry, will benefit renewable energy and especially small size solar home systems. The electric automobile is one of the driving forces of Li-ion industry. It will indirectly allow rural zones of developing countries to access electricity at a lower cost to replace inefficient and harmful candles and kerosene lamps. Through the prototypes, built and presented in this study, we show that Li-ion battery packs when assembled locally, in developing countries, could be more affordable and contribute to a form of technological emergence. We present the case study of the Economic Community of West African States (ECOWAS). Abstract: Publication date: April 2019Source: Journal of Energy Storage, Volume 22Author(s): Varun Joshi, Manish K. Rathod Thermal transport augmentation in latent heat thermal energy storage (LHTES) system by local installation of metal foam-phase change material (PCM) composite is presented in the current work. The study highlights an optimal concentration and position of metal foam-PCM composite (MFPC) to elevate thermal performance without altering an overall melting time. Thus, a novel configuration MFPC is proposed according to the optimum thermal conductivity enhancer (TCE) density, a criterion defined based on the temporal variation of local temperature gradient during the melting process. The fundamental principle of the criterion is positioning the metal foam only at the maximum thermal potential region for the effective utilization efficiency of the metal foam. A numerical code based on a local thermal non-equilibrium coupled enthalpy porosity approach is developed and validated. The numerical results showed that the proposed configuration with the provision of MFPC at a high thermal potential region alleviates local conductive transport with enhancement in the overall melting rate. It is seen that the withdrawal of metal mass at low thermal potential region encompasses the beneficial influence of natural convective transport, which is observed to be impeded in the previous configuration. The total melting time is observed to be equal for the proposed configuration when compared to the LHTES with the full volume of metal foam. The elimination of metal mass can increase the mass of PCM and thermal energy storage capacity. Additionally, it can assist to reduce weight and economy of the LHTES system. Abstract: Publication date: April 2019Source: Journal of Energy Storage, Volume 22Author(s): Md Alamgir Hossain, Hemanshu Roy Pota, Stefano Squartini, Forhad Zaman, Kashem M. Muttaqi A storage system is a key component of a microgrid. Over the last few years, research has been undertaken to determine optimal management of microgrid resources. Battery storage has a significant impact on the total operational cost as the lifetime of the battery reduces during charging and discharging cycles. In this paper, we propose optimal energy management of a community microgrid in which the cost function includes the degradation cost of the battery and a dynamic penalty to reflect the true operational cost. Particle swarm optimisation (PSO) is used to determine the battery control actions for real-time energy management. Several case studies are presented to demonstrate the effectiveness of the proposed framework in which the new cost function reduces electricity cost by up to 44.50% compared to a baseline method and 37.16% compared to another existing approach. Abstract: Publication date: April 2019Source: Journal of Energy Storage, Volume 22Author(s): Bernd Epding, Björn Rumberg, Hannes Jahnke, Ina Stradtmann, Arno Kwade In this work for automotive lithium ion cells, the influence of prolonged rest periods of up to 5 days on the available capacity and the long term aging trend during cyclic aging tests is presented. Automotive prismatic cells with NMC/graphite chemistry and over 25 Ah capacity are investigated by means of various cycle tests. The test matrix includes a variation of possible influencing factors like current rates during cycling as well as temperature and state of charge during rest periods, rest period length and number of cycles between rest periods.A significant capacity recovery during rest periods is measured after cycling at moderate temperatures which has only been reported for low temperature lithium plating experiments before. Rest periods were conducted at 100% state of charge, thus the anode overhang effect can be excluded as the cause for the observed capacity increase. Voltage relaxation tests indicate that lithium plating occurs due to high current rates. Furthermore, a microscopic model is proposed to explain the long time constant of the limited exponential capacity increase during rest periods. Under these plating conditions a significant increase in cell cycle lifetime is observed if regular rest periods or standard characterizations are applied. Abstract: Publication date: April 2019Source: Journal of Energy Storage, Volume 22Author(s): Abhishek Das, T.R Ashwin, Anup Barai In automotive and stationary Li-ion battery packs, a large number of individual cells, typically hundreds to thousands of cells, are electrically connected to achieve pack specification. These large number of interconnections are mainly achieved by welding cell tab to bus-bar using a welding technique of choice. Ultrasonic metal welding (UMW) is one of the common joining technique employed to join pouch cell’s tabs to bus-bar. Although commonly employed, there is little research currently exist in literature reporting the joint characteristics in terms of electrical resistance and temperature raise due to charge-discharge current. Li-ion batteries reaching sub-milliohm internal resistance, risks the temperature raise at the joint could be even higher than the cell itself which raise a serious safety concern and they are to be addressed. This research investigates the electrical and thermal characteristics of ultrasonic joints of 0.3 mm aluminium/nickel coated copper tabs to 1.0 mm copper bus-bar. This article reports the dynamic behaviour of electrical resistance and corresponding temperature increase as a result of current flow. To capture the electrical and thermal behaviour of the joint, a numerical model has been developed and validated with experimental results, which can be employed to analyse battery pack performance. Abstract: Publication date: April 2019Source: Journal of Energy Storage, Volume 22Author(s): N. Gurieff, C.Y. Cheung, V. Timchenko, C. Menictas As redox flow batteries are being commercialised and demonstrated in a range of energy storage applications, further cost reductions are needed to make these batteries economically viable. In reducing cost, one important aspect is to minimise concentration polarisation, which allows for an increase in the power density of the battery stack. To make significant advances in increasing the power density of flow batteries it is critical to overcome the conventional design approach and explore new design concepts that alleviate the constraints in existing flow battery systems. This study investigates flow-through electrodes with new geometries that increase the velocity from inlet to outlet within cells. This velocity increase can address mass transport limitations, improving the delivery of electrochemical species to reactive sites on the electrode/electrolyte interface under varying states of charge. Three dimensional hydraulic-electrochemical coupled models were used to simulate different stack geometries; a rectangular geometry, a trapezoidal geometry and a radial geometry. The trapezoidal and radial geometries can accelerate the electrolyte during each pass in the battery stack. A new geometric stack arrangement is also proposed, which can deliver a higher power output with radially displaced cells. Abstract: Publication date: April 2019Source: Journal of Energy Storage, Volume 22Author(s): Shubh Lakshmi, Sanjib Ganguly This paper presents a multi-objective planning approach for the optimal allocation of PV-BESS integrated open UPQC (PV-BESS-UPQC-O) for peak load shaving of radial distribution networks. The open UPQC (UPQC-O) is a custom power device which consists of series and shunt inverters. It is designed to provide reactive power compensation and to mitigate some power quality problems. The UPQC-O is integrated with BESS to inject active power to the network during peak hour for peak load shaving. The charging of BESS is to be done using PV panel. A multi-objective optimization problem is formulated, in which maximization of peak load shaving, minimization of cost of placement of PV-BESS-UPQC-O, and minimization of total power loss during peak load demand with the placement of PV-BESS-UPQC-O are the objective functions. The limits on bus voltage magnitude, line current flow, and PV capacity are the constraints of this optimization problem. The Pareto-based multi-objective particle swarm optimization (MOPSO) is used to simultaneously optimize these objectives so as to obtain a set of Pareto-approximation solutions. From this set, a distribution network owner can choose a solution depending upon its desired level of peak load shaving, power loss, and capital expenditure budget. Abstract: Publication date: April 2019Source: Journal of Energy Storage, Volume 22Author(s): Elham Hosseinzadeh, James Marco, Paul Jennings Variation in energy capacity and resistance of cells connected in parallel can degrade the overall performance of the energy storage system (ESS). Such variations can lead to significant individual differences in battery load current, state of charge (SOC) and heat generation. 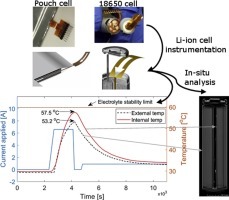 An experimentally validated 1D electrochemical-thermal model of a large format 53 Ah pouch cell is employed to underpin the performance evaluation of parallel connected cells within the context of a complete ESS. The cell model, developed within COMSOL Multiphysics is coupled with an electrical circuit model of the ESS within Matlab. Results are presented that quantify cell-to-cell differences in load current and heat generation as the length of the parallel connection and value of the cell interconnection resistance is varied. The results highlight that variations in cell depth of discharge and the occurrence of temperature gradients across the parallel connection increases at higher load currents and interconnect resistances. The impact is amplified as the length of the parallel connection increases which will accelerate cell ageing and, if unmanaged, may present safety concerns. Abstract: Publication date: April 2019Source: Journal of Energy Storage, Volume 22Author(s): K. Yamini Yasoda, Alexey A. Mikhaylov, Alexander G. Medvedev, M. Sathish Kumar, Ovadia Lev, Petr V. Prikhodchenko, Sudip K. Batabyal Vanadium oxides (V3O7) have been used as electrode materials for supercapacitor applications because of its multiple oxidation states. V3O7 nanoparticles were coated on reduced graphene oxide (rGO) from a peroxovanadate-rGO composite by thermal microexplosive decomposition method. These V3O7 decorated rGO were made composite with the flexible multi redox conducting polymer (Polyaniline). The performance of the composite materials as electrode for supercapacitors was analyzed in a 3-electrode cell, obtaining a specific capacitance of about 579 F g−1 at 0.2 A g−1 specific current. Cycling stability is one of the main barriers noticed in V3O7, which limits the practical performance of supercapacitors. This is overcome by modifying V3O7 with rGO and polyaniline composites which produces good electrical contact resulting in higher capacitances and enhanced cycling stability when compared to pristine V3O7. 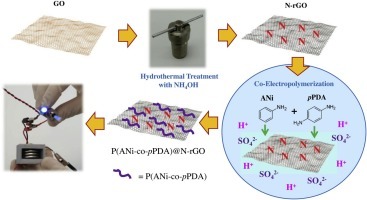 A superior electrochemical performance and ultra-long cyclic stability of 94% over 2500 cycles was obtained through these developed electrodes.Graphical abstractPolyaniline nanofibres were fabricated on the V3O7 coated reduced graphene oxide for supercapacitor electrode. Abstract: Publication date: April 2019Source: Journal of Energy Storage, Volume 22Author(s): Zahra Razzaghpanah, Nenad Sarunac, Alireza Javanshir, Javad Khalesi A two-dimensional steady-state natural convection heat transfer from a single row of closely spaced isothermally heated cylinders was investigated in this study for a laminar flow regime. A few previous studies investigated the natural convection heat transfer from a single row of isothermally heated cylinders. However, no correlations or performance maps were developed for the average Nusselt number Nu¯D for a single row of horizontal cylinders. Using the correlations proposed for natural convection heat transfer from a single cylinder results in large errors in predicting the heat transfer for multiple cylinders. Thus, numerical and statistical modeling were performed in this study to propose correlations for the average Nusselt number Nu¯D for a single row of horizontal cylinders immersed in molten solar salt as functions of Rayleigh number RaD and dimensionless cylinder-to-cylinder spacing ( ST/D ). The analyzed geometries are important in the solar heating and heat storage technology, nuclear reactor safety and waste heat recovery applications. Abstract: Publication date: April 2019Source: Journal of Energy Storage, Volume 22Author(s): Mohamed Dardir, Karthik Panchabikesan, Fariborz Haghighat, Mohamed El Mankibi, Yanping Yuan With high energy consumption trend in buildings, the adoption of thermal energy storage systems toward reducing cooling load has been increased in recent years. Subsequently, utilizing the concept of latent heat thermal energy storage (LHTES) through phase change materials (PCMs) have been widely discussed in the literature. This paper is a comprehensive review of the utilization of PCM-to-Air Heat Exchangers (PAHXs) for building free cooling applications. The potential and limitations of using PAHXs in free cooling applications are discussed in detail, focusing on hot desert climate. Significant system influencing factors such as inlet temperature, phase change temperature, and airflow rates are analyzed and their impact on the thermal performance of PAHXs free cooling applications are addressed. Previous studies claimed that continuously maintaining outlet air temperature (of PAHX) within the preferred indoor thermal comfort is a system limitation, especially in extreme climates with exceptionally high cooling demand. However, they have assured the increased cooling potential by adopting multi-PCM approach and integration with other passive technologies in free cooling systems to increase system storage abilities and satisfy workability under high inlet temperatures. For magnifying the free cooling system’s cooling abilities in hot desert climate, this paper recommends considering the potential of nighttime sky radiation during the PCM charging process. The discussions made in the paper will be helpful in understanding the influencing parameters of PAHXs system for free cooling application, especially in hot desert climate. 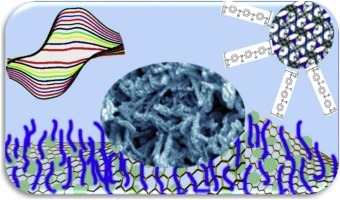 Abstract: Publication date: April 2019Source: Journal of Energy Storage, Volume 22Author(s): Siriporn Pansri, Suttinart Noothongkaew This paper describes fabrication and characterization of a hybrid nanostructure comprised of multi-walled carbon nanotubes (MWCNTs) on reduced graphene oxide (r-GO) via layer by layer (LBL) assembly. This structure was prepared by vacuum filtration and heat-treated at 500 °C. The morphology of the sample was investigated by field emission electron microscopy (FE-SEM). The crystalline structure and chemical composition were characterized by X-ray diffraction (XRD) and X-ray photoelectron spectroscopy (XPS), respectively. Cyclic voltammetry (CV) curve of MWCNTs/r-GO hybrid film appeared close to that of an ideal double layer capacitor, in quasi-rectangular shape. The current density gradually increased with increasing voltage scanning rate, exceeding 20 A/g at a scan rate of 500 mV/s. Accordingly, the specific capacitance decreased with the increase of the voltage scanning rate as expected. Electrochemical performance of this hybrid film indicates that it can further improve supercapacitor electrodes. Abstract: Publication date: April 2019Source: Journal of Energy Storage, Volume 22Author(s): Reza Razipour, Seyed-Masoud Moghaddas-Tafreshi, Payam Farhadi Charging/discharging management of electric vehicles (EVs) and dispatch of intermittent renewable energies will be probably two significant issues in future distribution system operation and planning. In addition, intelligent parking lots (IPLs) are widely employed due to ever-increasing number of EVs. In this paper, a novel stochastic approach is proposed for charging/discharging management of EVs parked in IPLs where the electric vehicles are interacting with each other and the upstream grid operator. A newly developed model is presented for the intelligent parking lot with hydrogen storage system (HSS) consisting of fuel cell, electrolyzer, and hydrogen storage tank as well as load demand in which practical constraints are satisfied. The costs of operation related to distribution system, including the purchasing cost of energy from upstream grid and the cost of EVs charging in IPLs, are formulated as the most important objectives of the proposed optimization problem. Particle swarm optimization (PSO) algorithm as a fast and population-based technique was carried out in simulations. And, based on the obtained simulation results, all technical and financial objectives are achieved. Abstract: Publication date: April 2019Source: Journal of Energy Storage, Volume 22Author(s): Ming Liu, John Severino, Frank Bruno, Peter Majewski Several recent studies reported anomalous enhancement of specific heat capacity by doping minute concentration (e.g. 1 wt.%) of nanoparticles into the eutectic salt. In this work, silica particles with three different sizes and nano-sized silicon nitride and silicon carbide particles were dispersed in solar salt with particle concentrations of 0.5–7 wt.%. To prepare the composite material, a conventional two-step aqueous solution method was used and the drying approach was modified to suit large-scale production. The specific heat capacities of the composites, pure solar salt and particles were measured using differential scanning calorimetry in a temperature range of 300–400 ᵒC and the results were compared. Silicon nitride and silicon carbide nanoparticles have marginal effect on the specific heat capacity of solar salt over the examined concentration of 0.5–3 wt.%. The specific heat capacity of silica composites with 3 wt.% of silica were enhanced by 4.3–9.7% over that of the pure solar salt. However, when 5 wt.% and 7 wt.% of silica (30 μm) were dispersed, the specific heat capacity was reduced by 10.6% and 9%, respectively. Material characterization of the composite material proved the formation of sodium silicate due to reaction of silica and sodium nitrate, which is probably correlated to the reduction of specific heat capacity. Abstract: Publication date: April 2019Source: Journal of Energy Storage, Volume 22Author(s): T. Barić, H. Glavaš, M. Barukčić In some applications, due to a relative low operating voltage of a supercapacitor cell, it is necessary to connect it in series to achieve a required operating voltage. However, due to the variation of supercapacitor parameters, there is a voltage imbalance across the supercapacitors connected in series, hence they should be balanced (equalized) by means of an appropriate technique. For this purpose, several active and passive balancing techniques are used. In this paper, the technique of passive voltage balancing using resistors is described. The phenomenon and the physical cause of voltage imbalance on supercapacitor (SC) cells are explained in detail. The paper gives a mathematical model that accurately describes voltage balancing using resistors. An uncertainty analysis was introduced to describe the expected voltage variation of supercapacitors before and after passive voltage balancing using resistors. All relevant expressions which determine the expected voltage variation before and after implementation of voltage balancing are derived. The derived expressions allow determination of voltage variance and uncertainty on SCs in the most unfavorable case of voltage imbalance. Based on the presented theory and derived expressions, the guidelines in the implementation of passive techniques for voltage balancing using resistors are given. Abstract: Publication date: April 2019Source: Journal of Energy Storage, Volume 22Author(s): S.H. Jensen, H. Langnickel, N. Hintzen, M. Chen, X. Sun, A. Hauch, G. Butera, L.R. Clausen Low energy conversion efficiency and high storage costs still hamper a successful implementation of sustainable energy systems. Recent theoretical studies show that reversible electrochemical conversion of H2O and CO2 to CH4 inside pressurized solid oxide cells combined with subsurface storage of the produced gases can facilitate seasonal electricity storage with a round-trip efficiency reaching 80% and a storage cost below 3 ¢/kWh. Here we present test results with a 30-cell SOFCMAN 301 stack operated with carbonaceous gases at 18.7 bar and 700 °C in both electrolysis and fuel cell mode. In electrolysis mode the CH4 content in the stack outlet gas increased from 0.22% at open circuit voltage to 18% at a current density of −0.17 A cm−2. The degradation observed by scanning electron microscopy studies correlate well with the observed electrochemical stack degradation. The degradation rates in both fuel cell and electrolysis mode were comparable to previously reported SOFCMAN stack degradation rates measured at ambient pressure operation with H2/H2O gas mixtures. Abstract: Publication date: April 2019Source: Journal of Energy Storage, Volume 22Author(s): Hengzhao Yang This paper studies the application of Peukert's law in predicting the supercapacitor discharge time during a constant current discharge process. Originally developed for lead-acid batteries, Peukert's law states that the delivered charge increases when the discharge current decreases. Recently, it is revealed that this law also applies to supercapacitors when the discharge current is above a certain threshold. This paper examines two application scenarios in which Peukert's law is utilized to predict the supercapacitor discharge time. Extensive experiments are performed using three supercapacitor samples with different rated capacitances from different manufacturers at various voltages. Results show that the prediction error is significantly reduced when the supercapacitor nominal charge and Peukert constant are properly determined and therefore demonstrate the effectiveness of Peukert's law in improving the prediction accuracy. Abstract: Publication date: April 2019Source: Journal of Energy Storage, Volume 22Author(s): Luca Doretti, Francesca Martelletto, Simone Mancin A simple lumped capacitance based computing model was developed and here presented. The code permits the thermal and energetic analysis of concrete thermal energy storages (TESs) during time. The simulated system consists of a parallelepiped concrete module that can be heated (charging phase) and cooled (discharging phase) by a single-phase working fluid flowing in a tube embedded in the concrete. The modules can be piled up in different configurations to build any desired TES. The new simulation code was validated against the experimental data carried out by ENEA with two different concrete mixtures, during both the heating and cooling processes using mineral oil as working fluid. Furthermore, on the basis of the energetic analysis, two different TES thermal efficiencies were proposed to evaluate the charge or discharge progresses over time. This simple and easy-to-use model allows for a drastic reduction of the computational time needed to simulate the TES and it can be easily integrated, in various arrangements, to any concentrated solar power plant (CSP) and associated energy conversion plant simulation models to have a quick evaluation of the whole system performance. Abstract: Publication date: April 2019Source: Journal of Energy Storage, Volume 22Author(s): Ruiying Luan, Da Xu, Hui Pan, Chengling Zhu, Dawei Wang, Xin Meng, Yao Li, Muhammad Imtiaz, Shenmin Zhu, Jun Ma Nature provides perfect varying models of hierarchical porous structures, but it remains a great challenge to accurately transfer these models intact to laboratory through carbonization during processing. In this study we report a new class of carbon materials whose hierarchical porous structure is accurately inherited from bagasse through a process consisting of a hydrothermal treatment with thiourea at 180 °C and then carbonization at 800 °C. The resulting composite structure consists of nanopores, supermicropores and ultramicropores with a high specific surface area of 2419 m2 g−1. The treatment with thiourea not only results in N and S doping but creates many papillae of a few hundreds of nanometer in diameter on the tubular wall. As a supercapacitor electrode working at 1 A g−1 in aqueous electrolyte, it shows a capacitance of 312 F g−1 (125 F cm−3), with 69% retention even at a very high current density of 20 A g−1. The material renders a good energy density of 11 Wh kg−1 at a power density of 125 W kg−1 and shows good cycling stability, 99.7% of initial capacitance remained after 10,000 charge/discharge cycles. As a lithium ion battery anode, it exhibited capacity of 621 mA h g-1 at 100 mA g-1 and the capacity remained at 310 mA h g-1 at 1000 mA g-1. Abstract: Publication date: April 2019Source: Journal of Energy Storage, Volume 22Author(s): Pranoy Kumar Singha Roy, H. Bora Karayaka, Yanjun Yan, Yazan Alqudah In this paper, a hybrid energy storage system (HESS), combining a battery and a supercapacitor (SC), is studied for dispatching solar power at one hour increments for an entire day for 1 MW grid connected photovoltaic (PV) arrays. HESS relies on PV for charging and not the grid, and hence is immune to fluctuating electricity prices. The battery and SC are intended to supply predetermined constant power, but not to provide ancillary services for the grid operation. To develop a cost-effective energy storage system, a low pass filter (LPF) is used to allocate the power between a battery and a SC. The best cost of the energy storage is calculated based on the time constant of the LPF through extensive simulations. Several rule-based algorithms based on the battery state of charge (SOC) are developed to estimate the grid reference power for each one-hour dispatching period. An economic comparison of using different kinds of the algorithms for estimating the grid reference power are also presented in this study. The objective is to better understand the annual energy storage cost for hourly dispatching solar power. The actual solar data of four different days as a representative of each season recorded at Oak Ridge National Laboratory are used in the simulations. The relationship between the actual PV cell temperature and the ambient temperature in power output calculations are also considered and their effects on energy storage price calculations are presented in this paper. Abstract: Publication date: April 2019Source: Journal of Energy Storage, Volume 22Author(s): Deepak Kumar, D.K. Kanchan Research on sodium based electrolytes and batteries have received the researcher’s attention as it may fulfill the energy storage needs, especially the grid level requirements where cost is as important as the performance. The present paper reports experimental investigations on carbonate free Na-ion conducting gel polymer electrolytes prepared by entrapment of sodium triflate salt in ionic liquid into poly (vinylidinefluoride-co-hexafluoropropyline) polymer matrix. This electrolyte system is subjected to X-ray diffraction and differential scanning calorimetry to probe changes in structural and thermal properties. The electrochemical impedance spectroscopy technique is employed to determine the bulk resistance and ionic conductivity of the polymer gel electrolyte system. In order to investigate the temperature dependent dielectric behavior of electrolyte system, real part of the permittivity and dielectric loss are discussed as a function of frequency. The open circuit voltage and discharge capacity is recorded to determine the initial voltage obtainable and discharge profile for the prototype sodium-sulfur cell. The investigations reveal that ionic liquid based electrolytes appear to be valid candidates to replace the unstable and flammable conventional carbonate for their use in fabricating electrolytes for future sodium-sulfur batteries. Abstract: Publication date: April 2019Source: Journal of Energy Storage, Volume 22Author(s): M.J. Smith, D.T. Gladwin, D.A. Stone This paper presents the results of an experimental analysis of the influence of high-frequency injected ripple currents on the Dynamic Charge Acceptance (DCA) performance of lead-acid batteries. A wide-bandwidth battery model, derived from real-world data is described, this being a hybrid of the standard Randles model and a high-frequency model previously presented in literature. A bespoke test procedure is introduced, based on the existing DCA Short Test profile (EN50342-6). The results demonstrate that the injection of ripple currents can significantly improve charge acceptance, whilst having no appreciable effect on the State of Charge (SoC) of the battery. This study further demonstrates the importance of knowledge of the impedance spectrum of the battery if the improvements in DCA performance are to be achieved with maximum efficiency and effectiveness. Abstract: Publication date: April 2019Source: Journal of Energy Storage, Volume 22Author(s): H. Bakhshi Yamchi, H. Shahsavari, N. Taghizadegan Kalantari, A. Safari, M. Farrokhifar Dispersed application of Battery Energy Storages (BESs) can have many benefits in terms of voltage regulation and energy management in Active Distribution Networks (ADNs). The batteries are high-cost technologies, and they must be installed and managed optimally to benefit from their innumerable advantages. In addition, each battery technology has specific economic and technical attributes which can be appropriate or inappropriate in a particular condition and utilization. The purpose of this paper is that the optimal size and location of various battery technologies are specified in the distribution network to minimize total cost and maximize reliability index considering the uncertainty of load demand as well as the output power of the wind and solar. Also, multi-objective particle swarm optimization (MOPSO) algorithm is used to minimize two objective functions. Monte Carlo Simulation (MCS) is used to model the uncertainties of economic and technical characteristics of photovoltaic, wind power and load demand. The suggested planning scheme is tested on the modified IEEE 33-bus system. Finally, the different types of the battery technologies in one, five, ten, fifteen and twenty-year period are compared to present the optimum type. Abstract: Publication date: April 2019Source: Journal of Energy Storage, Volume 22Author(s): Hasan Mousa, Jamil Naser, Omar Houche In this work, the role of Phase Change Material (PCM) submerged in water tank in controlling its temperature is investigated both theoretically and experimentally. In the experimental part, an organic PCM (Tricosane) is used inside vertical tubes submerged in the water tank to absorb heat when heat is provided to the tank at constant rate and then release it to the water when the source of heat is turned off. The effect of the amount of PCM on the water temperature is studied. The amount of PCM is represented by a parameter (R) defined as mass of PCMmass of water. The effect of using PCM is demonstrated by measuring the change in the water temperature. The presence of PCM in the water resulted in the appearance of two zones in which the temperature remains constant due to melting and solidification of the PCM. In the melting zone the heat provided to the PCM is absorbed hence maintaining its temperature constant. The second zone appears after the heating is stopped where heat losses is subsidized by the heat of fusion of the PCM. The experimental results showed that as the value of R increases, both zones become longer specially the second zone. Accordingly, the time for the temperature to drop to a certain value say 45 °C (a temperature that one can use the water comfortably) is longer as the value of R increases. In fact, the time it took the water to drop to 45 °C is doubled when R = 0.95 compared to the case when no PCM is present in the system.The change in water temperature was theoretically calculated by performing heat balance on the system in the different zones (heating and cooling zones). It is assumed that the temperature of the components of the system (water, PCM, glass tubes, tank) is the same. The results verified those observed experimentally. The effect of the overall heat transfer coefficient (U), type of PCM expressed by its latent heat (λ), was investigated. It was found that the time it took the temperature of the system to drop to a given temperature increases as U decreases and λ increases. Moreover, the zones at which the temperature remains constant become longer when U decreases, λ and R increase. This suggests that the system temperature can be controlled by insulating the system and using proper values of R and λ. The developed model was validated using the experimental results of this work. The outcome showed an excellent agreement between the experimental results and the model.